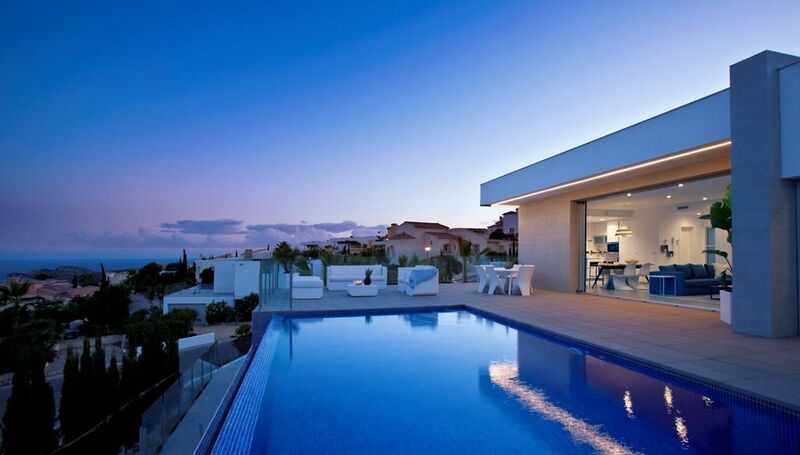 This modern designed house is located in the most exclusive area of the Cumbre del Sol residential estate, in the luxurious Residencial Jazmines, a closed complex that contains large luxury villas with impressive views of the sea and fantastic night-time views of the Skyline of Calpe and Benidorm in the background. 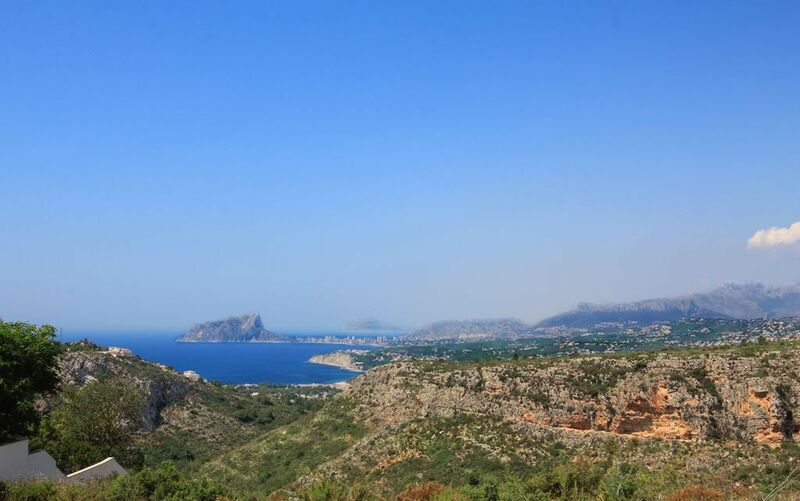 Just a 10-minute drive from Cala del Moraig and the towns of Javea and Moraira. 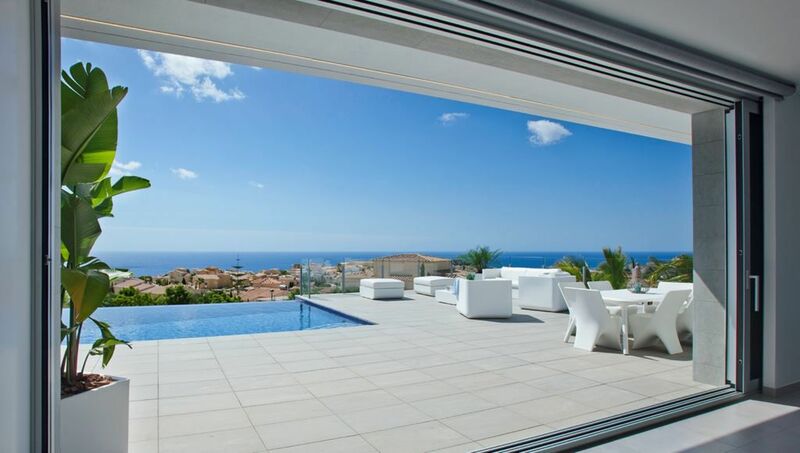 Villa Del Puerto is designed to enjoy fantastic sea views, as well as the climate and the light of the Mediterranean. With large windows that let the light and warmth of the sun flood in, exterior dining room and sitting room with a fireplace and several terraces for sunbathing and enjoying the open air. 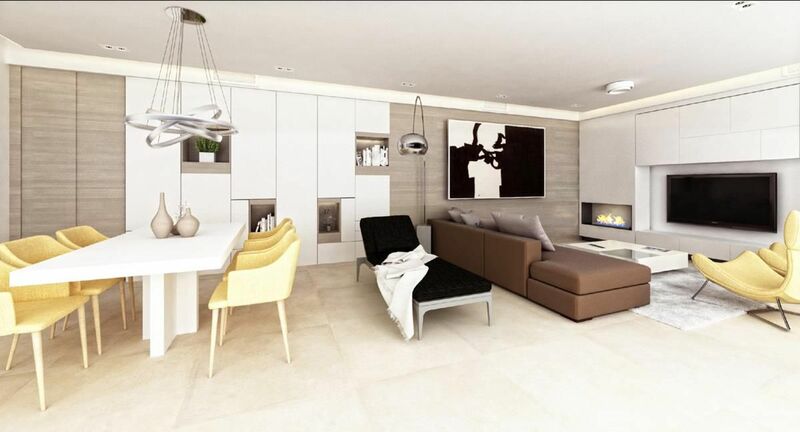 All of them have 3 bedrooms with a large en suite bathroom with bath and shower for the master bedroom, which also has a walk-in closet and private terrace. The main floor has a large kitchen with a central island with the cooking area and breakfast bar, laundry room, pantry and access to the outdoor and the indoor dining rooms. A large sitting-dining with a fireplace, a TV/cinema room, summer dining room and a cosy relaxation area with a fireplace, a large terrace with an infinity swimming pool, with several atmospheres to enjoy the sunny days that the Mediterranean climate offers. 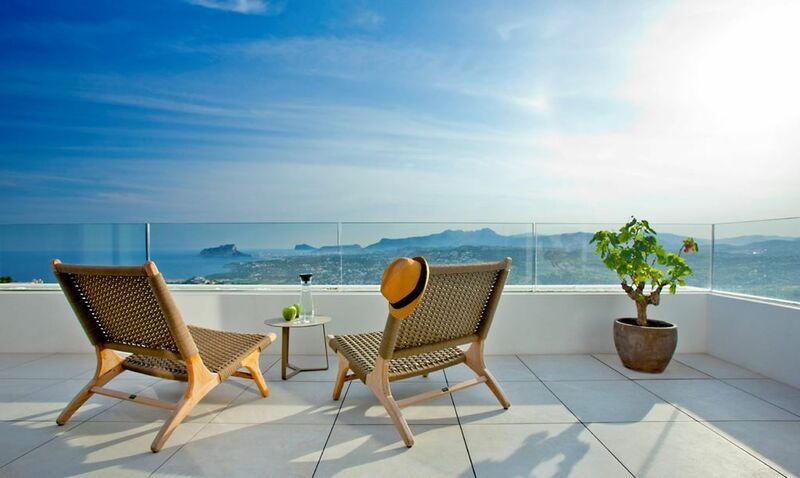 On the ground floor, there is a leisure with a large private terrace. 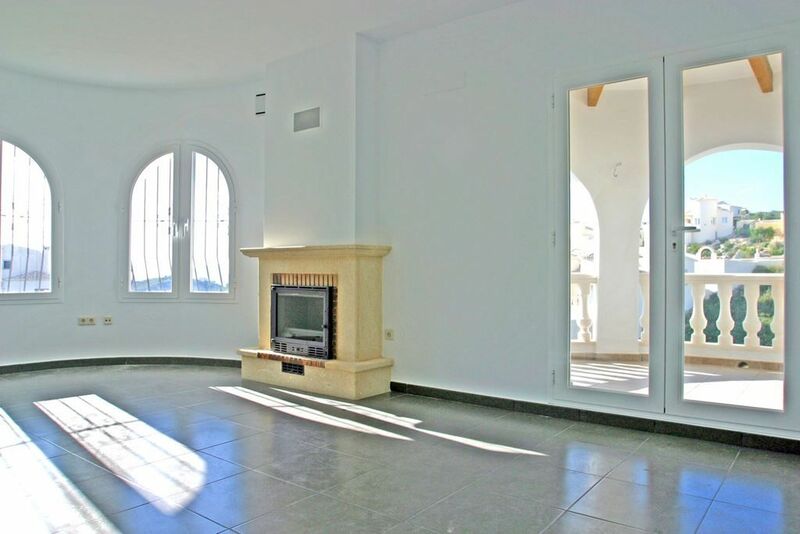 The property is completely fenced, has a covered parking space for two vehicles and an interior and landscape gardening project to adapt it to the tastes and needs of its owners, a unique luxury villa in Costa Blanca Norte.